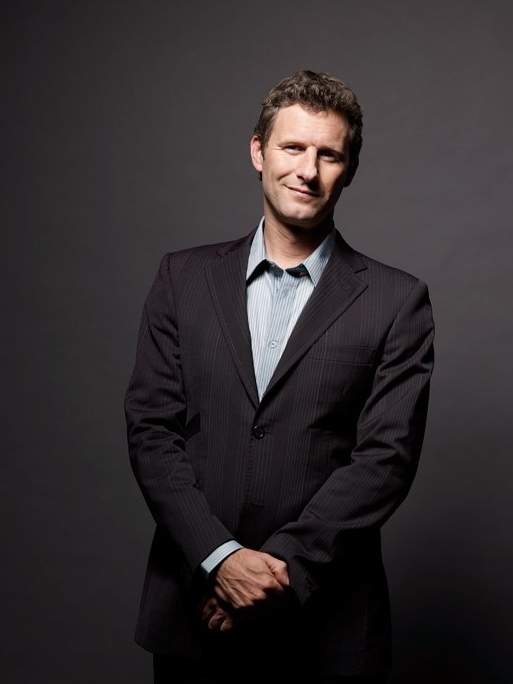 Adam Hills has achieved international acclaim as one of the world’s best stand up comics. His unique combination of positive, uplifting comedy and rampant spontaneity have seen him receive a swag of awards, glowing reviews and a legion of fans around the planet. Adam’s solo shows have seen sell-out houses at the Adelaide Fringe, Melbourne Comedy Festival and the Kilkenny Cat Laughs Festival. He is a regular at the Montreal Just for Laughs Comedy Festival, and was the first Australian comedian to appear at the US Comedy Arts Festival in Aspen 2005, where he performed in the Experts Only as well as hosting the Midnight Talk Show. However it is at the Edinburgh Fringe Festival that Adam has truly made his mark. Totally sold-out 2000 to 2004, Adam has become one of the hottest attractions at the Fringe, regularly selling over 10,00 tickets in the month. Adam’s 2001, 2002 and 2003 shows were all nominated for the prestigious Perrier Award at the festival. His 2002 show, Happy Feet, won the inaugural Best of the Fest Award and his follow up show Cut Loose won the Radio Forth Award for Best Comedy. Adam has also won a Chortle Award for Best Compere in the UK and his 2007 show Joymonger won a Helpman Award for Best Comedy Performance in Australia. He is currently touring with his show Clown Heart to the UK, Australia and other festivals around the world. In 2012, Adam hosted a special panel show for the London Paralympics for Channel 4, which was so well received, it was picked up for a full series and is now in its eighth series. 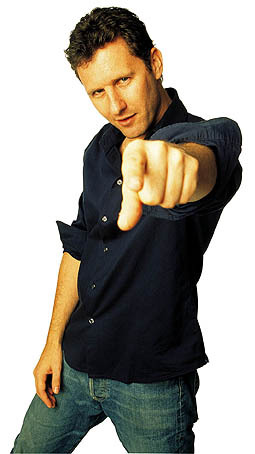 Along with being the host of The Last Leg, Adam’s British Television credits include Never Mind The Buzzcocks, Today With Des and Mel, The BBC Stand Up Show, The World Stands Up, and The World Comedy Tour which also screened in Australia, USA and Canada. In Australia, Adam hosted the music quiz show Spicks and Specks on ABC, and received widespread acclaim for his back-stage interviews at the 2005 Logie Awards. He has also appeared on Rove Live, The Glasshouse, and Good Morning Australia and hosted the 2003 Just For Laughs special from the Montreal Comedy Festival. Adam has hosted two series of Four at the Store for BBC Radio 4, and co-wrote and co-performed We Say Tomay-to, a six-part topical comedy series for BBC Radio 2. On top of all this, Adam made his acting debut at the 2005 Melbourne Comedy Festival in Die On Your Feet written by Greg Fleet, and as a writer has been a regular contributor to Subaru Magazine, Inside Cricket and Ouch! Website. He also has three best selling stand up DVDs under his belt including Happyism and Inflatable.